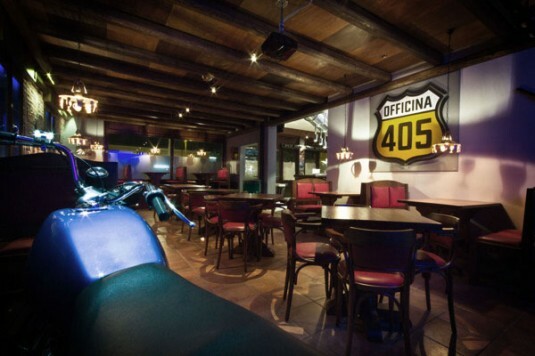 Officina 405 is a pub inspired by the counterculture of the 1960s’ in the USA and its values like freedom and itch for break out. 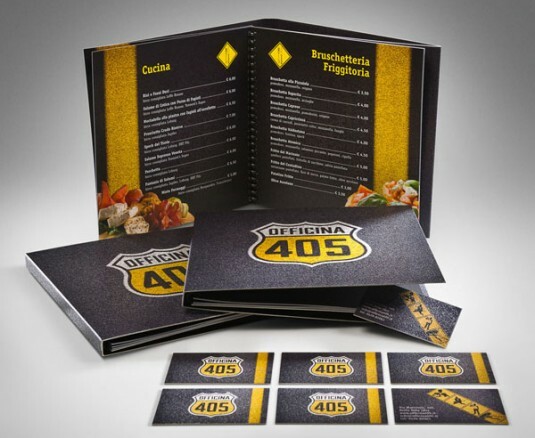 For this project, Concreate Studio, graphic design studio specialized in logo design and visual identity, took inspiration from the Route 66, that asphalt myth which smells of adventure and gives life to the pub’s image. 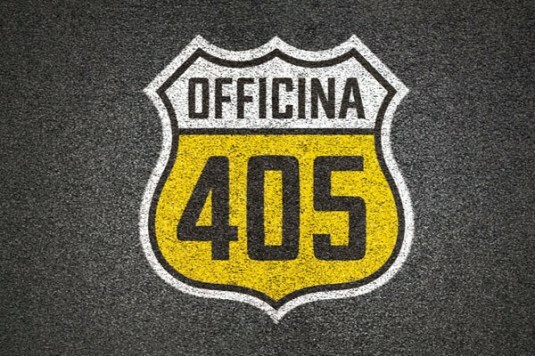 The symbol has a characeristic form of the road signs in the USA which recalls the famous highway, a symbol of liberty and the ‘on the road’ lifestyle. The font has been designed with paying a particular attention to a legibility and, in a the same time, it results compacted, forceful, pushful. The colors have been chosen to add a further significance to the logo – its form combined with a yellow (a beer) and a white color (a froth) create a beer pint. Meglio un green oggi che una merendina domani?